Do you enjoy having a glass of wine at the end of the day? Love beers during the football game? Look forward to girls night out with a few mojitos? These are completely normal circumstances to indulge in alcohol and usually may be enjoyed without any long term effects. However, problems can arise if these drinking scenarios begin to affect your daily life or personal health. Alcohol can be okay to consume in moderation, but crossing the line may mean you need to seek treatment. Included here are a few indications that could mean you have an alcohol problem. One of the biggest problems with alcoholism is that it is socially acceptable in a lot of situations. This can mean you are likely to feel completely normal when drinking with other people. However, when your drinking has gotten to the point that you feel the need to hide bottles or conceal the amount you have drunk from loved ones, it may be time to seek help. Additionally, if your loved ones have begun asking questions about how much alcohol you have consumed or exhibiting worry about your lifestyle, you need to take a step back. While many alcoholics are able to convince themselves they could stop “anytime they want,” it is often more difficult than they imagine. Alcoholics usually recognize they have a problem when their lives begin to be affected by their drinking. This could mean neglecting work or family responsibilities. Are you beginning to have trouble keeping your home clean or getting to work on-time? Failure to function in normal society may mean you have begun to neglect responsibilities due to the effects of your excessive drinking. Do you need to drink more in order to feel the same buzz? This can be an indication of high tolerance, caused by drinking large amounts of alcohol regularly. Many alcoholics are able to maintain high-functioning lives with work, family and home without directly exhibiting their problem. If you notice you are consuming larger amounts of alcohol on a regular basis, you are on the fast track to having a real problem with alcoholism. 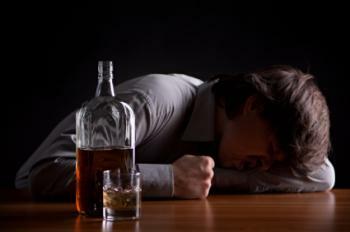 One of the biggest wake-up calls for alcoholics can be the symptoms of withdrawal. This can mean shaking hands in the morning necessitating a drink before work or struggling to sleep at night. Other symptoms of withdrawal could include headache, nausea, sweating, depression or irritability. While in small doses, alcohol can be a mood-lifter, it is technically a depressant and when used long-term will begin to affect your overall mood. Alcohol dependence means you are unwilling to stop drinking even when it has begun to affect your life. If you are noticing that your marriage is being broken by drinking, your depression has worsened or your overall health is damaged and you still refuse to stop, you are in the grips of alcoholism and need to seek help immediately.